Ondamed's Educational Series with Dawson Church, Ph.D. 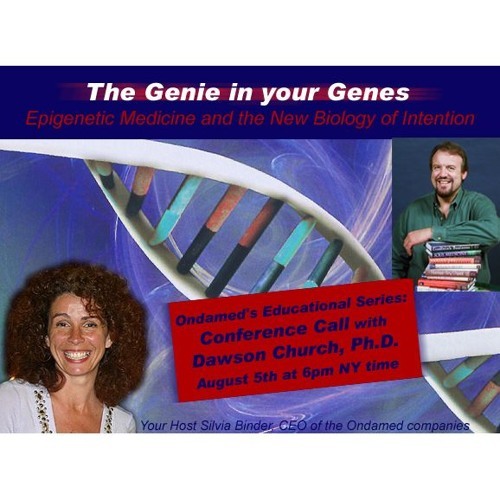 The Genie in Your Genes is a breakthrough book linking consciousness to genetic change. For the first time, a single book summarizes a chain of remarkable scientific discoveries that in the new field of Epigenetics (epi=above, i.e. control above the level of the gene) are the keys to healing. Citing hundreds of scientific studies, Church shows how beliefs and emotions can trigger the expression of specific DNA strands. The book's relevance to Ondamed is that it shows the physiological mechanisms by which energy-based therapies can produce rapid healing, and why even microcurrent changes in the body's electromagnetic energy system can produce significant cellular regeneration.